Catch up on the latest enterprise management, finance and technology news here. Watch for Twitter messages and our upcoming Facebook page. Bettine Eckerle is a brilliant attorney whose professional career focuses on business risk. Ms. Eckerle will be a Risktini presenter in 2017. 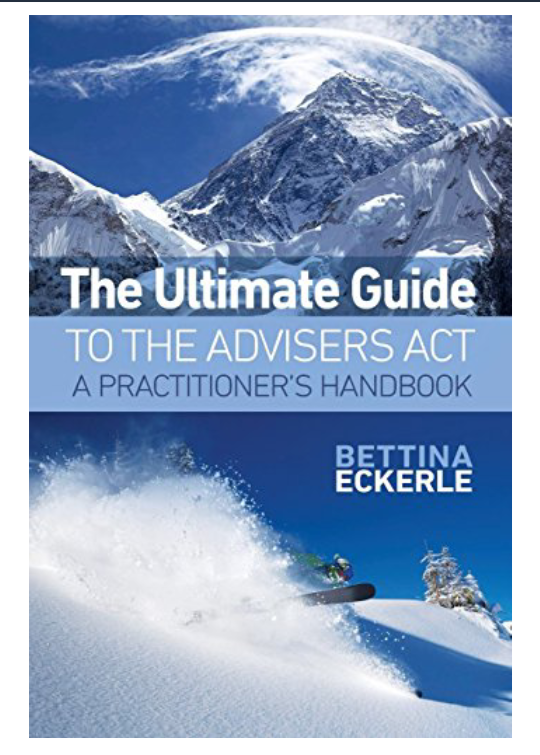 In addition to her thorough book, The Ultimate Guide to the Advisers Act, Bettina is writing a book on risk and legal concerns for startup business. Look for Bettina Eckerle on Amazon.com and at eckerlelawyers.com. William is an internationally recognized, award-winning information management consultant and analyst. He's a respected industry voice with over 20 years of experience. His passion for information management comes through as he describes the role data and business intelligence play in the agile enterprise. The 4th Annual Financial Services Industry Transformation and Outsourcing Strategies Forum, June 2010, focused on the emerging trends, analysis, executive perspectives, and enterprise case studies in the domain of financial services outsourcing. The summit sessions were conducted by established thought leaders in the industry, including a presentation and analysis from Canopach. The conference theme, "Navigating The New Normal", included a presentation and open discussion by Canopach on the multi-fold benefits of moving financial reporting and analysis from labor-intensive, spreadsheet data entry to interactive data and XBRL. Attendees gained insight into the current challenges and opportunities where interactive data may be of value to finance organizations beyond regulatory reporting requirements. The Canopach Inquirer and Mirror is updated each day based on input from scores of our followers with interest in today's business, finance and technology news and events around the world. The Canopach Tao of Planning & Reporting is updated each day based on input from across the web on current events in planning, forecasting, analysis and reporting -- all in one place.